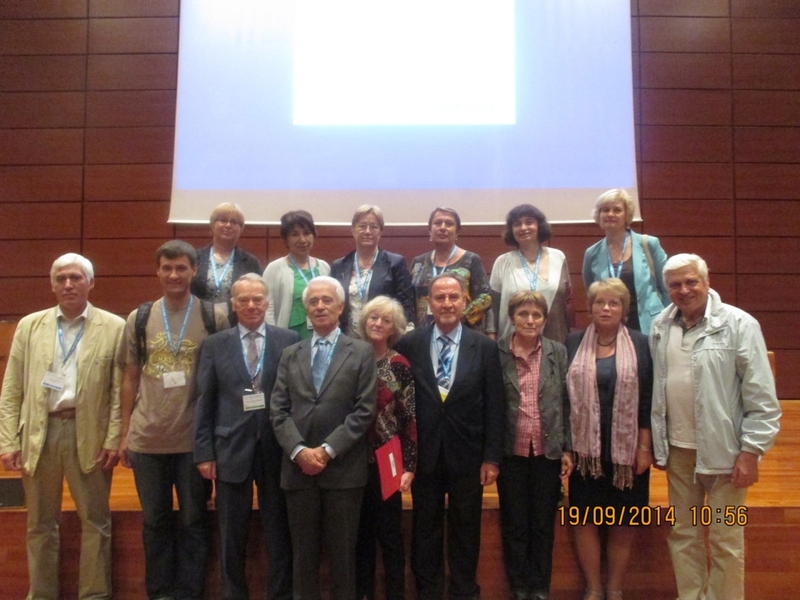 XII IAEG Congress was held in Torino, Italy, on September 15-19, 2014. The jubilee conference celebrating the 100th anniversary of academician E.M.Sergeev will be held on March 20-21, 2014, in Moscow. The full papers to the 16th scientific conference "Sergeevskie chteniya" on the topic "Development of E.M.Sergeev's ideas at the present stage" to be submitted before November 25, 2013. Reminiscences by former colleagues, friends, and students of academician Sergeev are also collected for publication. Victorov A.S., Svalova V.B., Mironov O.K., Galitskaya I.V., Batrak G.I.., Trapeznikova O.N. with presentations. The eighth International Scientific and Practical Conference "Problems in decrease of natural hazards and risks - GEORISK-2012" was held in Moscow at VNIIGOCHS Institute on October 18-19, 2012. On 24-29. 06.2012 10th International Conference on Permafrost – TICOP, http://ticop2012.org/, was held in Russia, Salekhard. Sergeev D.O., Chief of Laboratory of Geocryology IEG RAS, was elected as a member of the Executive Committee of International Permafrost Association (IPA) from Russian Federation. The fifteenth annual conference in commemoration of Acad.Sergeev (the young professionals session) on the topic "Sustainable development: tasks of environmental geoscience (engineering geological, hydrogeological and geocryological aspects)" will take place in Moscow, March 21-22, 2013. Contributions from young professionals to be submitted before November 20, 2012. The Eighth International Scientific and Practical Conference on Mitigation of Natural Hazards and Risks (Georisk-2012) will be held in Moscow, in October 2012.